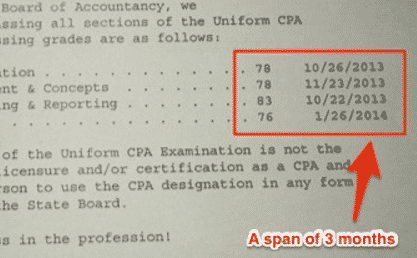 If you’re looking for tips on how to study for the CPA exams, this post gets pretty specific on exactly what I did. Hopefully you’ll find a few ideas that make sense so you can use them in your own CPA journey. 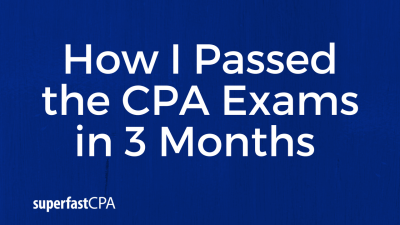 Studying for and passing the CPA exams is one of my proudest accomplishments. I spent my first 3 months doing what I thought was the right way to study, failed a section, and then switched to my own study methods and passed all 4 back to back to back to back, in 3 months. While working full-time. After I finished my Master’s, I had 3 months before I started my new job in public accounting. My plan was to pass FAR before I started working in August. I bought my review course, and I jumped right in. My plan was to study 4 to 5 hours per day. I would turn on the video lecture, watch it for a few minutes, and then realize I had completely zoned out. So I would re-commit to paying attention, and restart the video. This would usually happen a few times, so I would then skim the chapter text. For most lessons I would still be pretty confused at this point, so I would then go through a few practice problems. This put me an hour or more into my study session, and most days I wondered “am I actually learning this stuff?” So I would really commit to working extra hard the next day… and then most days it would be another slog through the material. I would do practice questions and the diagnostic quizzes, and my scores would range anywhere from the 50s to the 70s. But, there were so many lessons to get through I felt like I never had time to just master any given topic. So in addition to always feeling like I wasn’t really getting it, I also felt like I was always rushing just to keep up with my study planner. So the 3 months went along like this, and finally it was test day. So I waited the weeks until scores came out, and there was some reason that day that they weren’t published in the morning like normal. So I refreshed the score page – probably several hundred times throughout the day – and finally when I got home from work I refreshed the screen on my phone as I parked and there it was, a 74. I was really bent out of shape that it was a 74, but looking back, if you didn’t pass… it’s all the same. You’ve gotta retake it anyways. I spent a few days going through the stages of grief, and finally accepted that my only option was to do it again. I’m a pretty even-keel, not-much-gets-to-me kind of person, but something about failing the section and the shock of how busy and lost I felt at work (I was had now started my public accounting job) really lit a fire under me. I was determined to not let it happen again, and I also knew I was going to have to do something different. I needed to do something different because 1) my study approach didn’t work the first time and 2) I now had way less time to study due to my J.O.B. Pretty much everyone else at the firm studied after work. I tried that for about a week and just couldn’t do it. My brain was fried from working and thinking all day, and trying to stay at the office until 8 or 9 to study was unbearable. So, I decided to start studying in the mornings before work. I could really only fit in 2 hours each morning, so that’s what I did. From my previous study experience, I just wasn’t getting great results from watching the video lectures first, so I just skipped it and went straight to the questions. Without getting into the specifics, I came up with a framework for doing this where I only needed to go through the practice questions for most topics. Of course there were difficult topics where I had to go back to the lecture, but for a lot of the lessons that are really just memorizing facts, the practice questions gave me what I needed. If you assign a difficulty score of 1 to 3 to any given topic or question, it went like this: a “1″ would be a question that involved something that I already kind of knew, or was so simple that I knew I didn’t need a flashcard for. A “2” would be something that quickly made sense and/or wasn’t that difficult, but I wanted to make a flashcard for. A “3” would be something that I would look through a few practice questions and know I needed more info on, so for those I would watch the video lecture or find what I needed in the text. And then I would make a flashcard(s) for it. This “questions first” approach obviously saved me a ton of time from watching (and re-watching) every single video lecture, but it also had a bunch of other benefits. 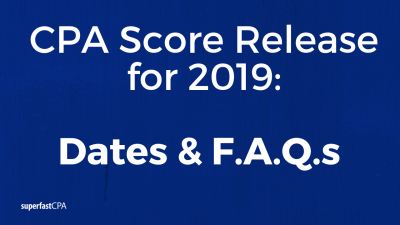 First – and this is one of the biggest “shortcuts” – is I realized that the practice questions are the “skeleton key” to what you’ll actually see on the exam. When you watch a video lecture or read a chapter, you’re getting everything that could possibly be tested on (and falling into the trap of thinking you need to memorize all of it is what causes extreme overwhelm and borderline paranoia in CPA candidates). But, if you go to the practice questions, you’ll notice that you really only see questions on the same 2 or 3 key areas of each topic. Or that you see multiple questions on really the same thing. Ding ding ding! That is probably 90% of what you need to know for that topic. A sidenote: Flashcards that you write in your own words are absolute gold when it comes to your final review. They will contain everything that you personally score a 2 or a 3 (based on my difficulty scale mentioned above) as you go through the material. Be diligent about making these flashcards, and the 2-3 days before you sit for a section, review your own decks you’ve made multiple times. Can’t stress it enough- this will be huge. I used Quizlet – I would keep another tab open as I studied so that I could quickly write flashcards and then of course they sync to your phone as long as you have the app installed. Another sidenote: When you’re trying to understand a difficult concept, nothing works better than explaining it out loud to yourself. Engaging your actual voice while trying to explain it does something… try it and you’ll see. I got to the point where I would just kind of mumble out loud each word I was reading or mimic back the video lecture while watching, because looking at something and talking it through forces you to stay focused. You have to find a way to stay 100% focused and make every hour that you’re sitting there count. If you focus for 10-20 minutes and then go on a 30 minute Facebook/Insta/Snapchat wormhole every time you study… it’s obviously hard to make progress. So try engaging your voice while you’re studying – it will help kill your mind’s tendency to wander. Okay so I was now getting through lessons much quicker, but I knew I wasn’t mastering them on the first time through. And, from my first FAR attempt, I was acutely aware that on test day it’s easy to forget a huge portion of what you’ve studied… especially “easy stuff”. There are just so many topics and little factoids to remember that you can’t just pass through things once, or twice, or even just a few times. So, the genius idea that I had, was that I was going to end each study session with one set of 30 cumulative questions from the topics I had studied up to that point. This way, I was getting repeat coverage of everything, in small doses, over and over. This worked extremely well and I started feeling confident in the material…. a very different feeling than I had the entire first 3 months before I failed FAR. The other big, big thing I did that made such a difference, was that I studied from my phone. Again, realizing that I had very little time to sit and study with my review course, I vowed make my phone an ally in the quest to pass the CPA exams. CPAexcel has an app, so I used that a lot to go through questions every chance I got. Also, I bought audio notes and listened to them in whenever I was commuting to and from work. When it got close to my test day, I didn’t want or really need to do a big final review, because constantly going through questions and notes on my phone, and the daily set of 30 review questions mostly took care of that. Luckily, I didn’t need to basically re-learn everything from the beginning like I did the first time around. I did aim to be done going through new lessons about a week before the test date, and for that last week I would do sets of 30 questions over and over and over. I would throw in a set of practice sims after every few sets of MCQs. I guess I should point out that I think MCQs are the best learning tool – even for getting ready for simulations. Most people just use MCQs as an evaluation tool: “Ok I watched the video, now can I answer these questions?” And if the questions don’t go well then they just watch the video again. That’s fine if you’re looking for a key piece of information, but the time it takes to watch and rewatch every video is extremely inefficient. I also mentioned before about the flashcards you create on your own: I reviewed those like crazy the day or two before an exam. If at all possible, set your test on a Monday. That gives you the weekend to cram like crazy, and that’s what you need to do. Do as many sets of 30 questions as you can handle, keep making flashcards, and working through practice sims. Really though, I’ll say it again: Setting your test on a Monday will give you a completely different testing experience than trying to cram it into the middle of your week. Your preparation will be much better, and you want as much material stuffed into your short-term memory as possible. So that was how I approached everything. Actually one last tip: On test day I got to the testing center an hour early, sometimes two, and I would sit in my car and reviewing my own flashcards decks a few last times. As you can see from my scoresheet, I took FAR and AUD 4 days apart. That FAR was my re-take from failing the first time, and the reason AUD was 4 days later was because I scheduled all 4 exams in the beginning, and I didn’t want to re-schedule AUD. So, I was studying for AUD and doing my FAR restudy at the same time in weeks prior. For the FAR re-study, I pretty much just did sets of 30 MCQs. Then I would follow the study plan I’ve outlined for AUD since it was new material. After a few weeks, I had my study routine grooved in and at that point it was just executing it every single day. By the time I got to REG, my last section, I was ahead of schedule and my studying was going really well. So, I actually paid the money to move it forward two weeks just to get it done sooner. Seeing my 4th passing score was easily the biggest feeling of accomplishment I’ve ever had. Main study session: I did this with CPAexcel, for 2 hours in the morning. I would primarily go through practice questions to learn the material from new lessons, and I only watched the video lectures or read the chapter when I needed to find something specific. I created my own flashcards for topics/facts that I rated a 2 or 3 (see above). I would end each study session with 30 questions pulled from the lessons I’d already been through up to that given day. For example, if I’m on day 15 of studying and I’ve been through chapters 1-6 so far, I would pull 30 questions from chapters 1-6. “Mini Sessions” on my phone: All through the rest of my day, I would do questions or read notes every time I had 5 minutes. Then I would listen to audio notes whenever commuting. I deleted the games off my phone and tried to do at least 5 minutes of review every time I pulled my phone out of my pocket. This helped immensely because 1) it was a form of constant re-review… it’s hard to forget something when you’re reading/doing questions on it several times every few hours. 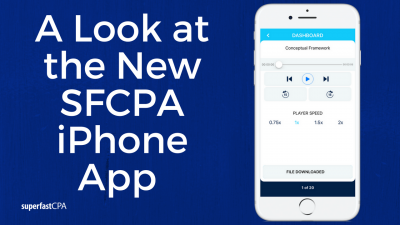 This idea of mini-sessions is what SuperfastCPA and our products is based on: Mobile-friendly study supplements that you can use to have effective mini study sessions in as little as 5 minutes at a time. “Final Review”: About a week before a test date, I would finish going through new lessons and then primarily focus on replicating testlets… basically sets of 30 questions pulled from all topics. Wiley CPAexcel : Easily my highest recommendation for your main review course. The content/software is top notch but the big, big factor is they let you keep access until you pass. There are a lot of horror stories of people having to purchase a review course twice… or more, and they aren’t cheap. Quizlet: This is what I used to create my own flashcards along the way. Create/edit them on your computer while studying, then your decks will sync to your phone on their app. “31 Tips to Pass the CPA Exams Fast“: This is our free guide that covers a lot more tips such as motivation strategies, time management, exam day strategies, and more. Our guides to the MCQs and Simulations are included on this page. SuperfastCPA “Study Hacks” Training: This training is free and walks you through in detail the study approach I outlined in this article. A session takes about an hour and will save you months of time. If you have all 4 sections left then invest an hour in a session of this training. 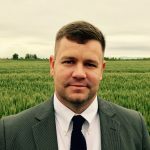 Nate spends his days answering a lot of emails and overseeing SuperfastCPA.com to help busy candidates pass the CPA exams fast.